This qualification that has been developed in partnership with Creative & Cultural Skills to ensure it meets the needs of the industry. It may be available through employers, training providers and colleges in England and Wales. 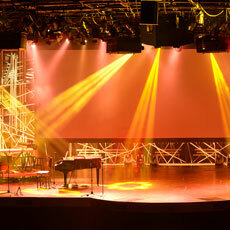 Its primary purpose is to confirm the learner’s occupational competence as a sound, light or stage technician. As a work-related, competence-based qualification it provides confirmation to employers, industry managers that the learner has the skills and knowledge needed to meet the nationally recognised standard to carry out the role. As this is a competence-based qualification, learners will be acquiring the knowledge and skills required through either on-the-job experience. This qualification is mainly taken by individuals who have completed a Level 2 certificate in Technical Theatre Support: Sound, Light and Stage or who are employed or volunteer as a sound technician within technical theatre. This qualification is a mandatory component in the Technical Theatre: Sound, Light and Stage Apprenticeship in England (as detailed in SASE). The Level 3 Certificate in Technical Theatre: Sound, Light and Stage can lead to employment within the theatre industry, as a technician or lead technician. The qualification requires the learner to complete three mandatory units (credit value 10) and a minimum of six optional units (credit value 20). Please refer to the qualification structure (201 KB) for more information.